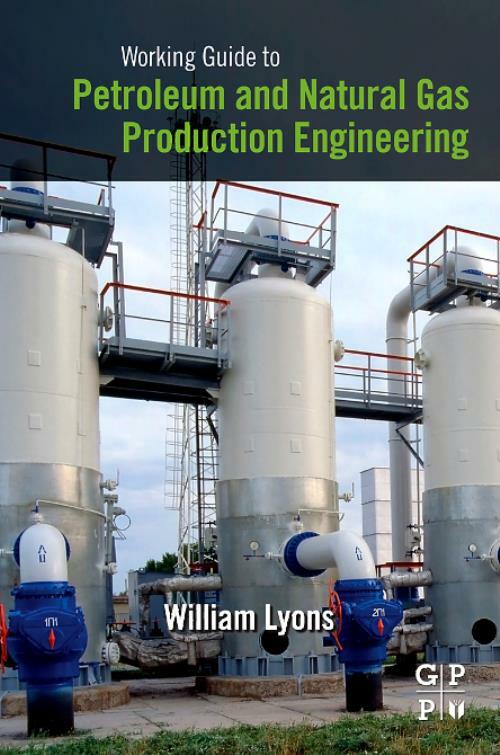 Working Guide to Petroleum and Natural Gas Production Engineering provides an introduction to key concepts and processes in oil and gas production engineering. It begins by describing correlation and procedures for predicting the physical properties of natural gas and oil. These include compressibility factor and phase behavior, field sampling process and laboratory measurements, and prediction of a vapor-liquid mixture. The book discusses the basic parameters of multiphase fluid flow, various flow regimes, and multiphase flow models. It explains the natural flow performance of oil, gas, and the mixture. The final chapter covers the design, use, function, operation, and maintenance of oil and gas production facilities; the design and construction of separators; and oil and gas separation and treatment systems. William C. Lyons, Ph.D., P.E. (retired), holds nine patents in industrial drilling and has been responsible for the development of several important innovations in drilling and production technology. He is the lead Editor of the Standard Handbook of Petroleum and Gas Engineering, 3rd edition, publishing with Elsevier and co-author of several other professional books in drilling and production engineering for the petroleum industry. Dr. Lyons was a Professor in Petroleum Engineering and in Mechanical Engineering at the New Mexico Institute of Mining and Technology for 30 years. He also served two one-year tours as a Distinguished Visiting Professor in Mechanical Engineering at the U.S. Air Force Academy in Colorado Springs during his academic career. Since retiring from teaching, Dr. Lyons is currently a Technical Learning Advisor with Chevron's Clear Leader Center in Houston, TX.